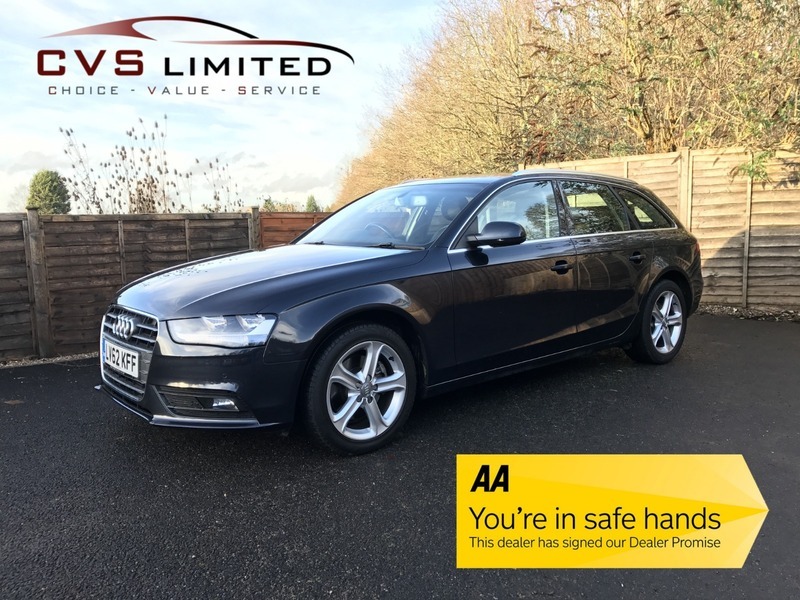 A LOVELY LOW MILEAGE EXAMPLE complete with FULL SERVICE HISTORY (6 Services including a recent Cam Belt change) and a GREAT SPECIFICATION including Full Black Leather upholstery with heated front seats, Bang & Olufsen Premium audio system, DAB Radio/CD with x2 SD Card reader slots and Audi Music interface socket, Audi Parking System Plus - Acoustic and Visual Park Assist System for the Front and Rear, Deluxe 3 Zone Air conditioned climate control, ESC Traction control system, Cruise control, 17inch Alloy wheels, Voice activated command system, Bluetooth telephone system, Driver information system, Multifunctional steering wheel, Electric windows x 4, Electric heated mirrors, Front and rear foglights, Automatic headlights, Auto dim rear view mirror, ABS, Power assisted steering, Driver airbag, Passenger airbag, Multiple side airbags, Remote central locking with Immobiliser and 2 remote keys, x4 Audi fitted floor Mats, ISOFIX rear seating system, Adjustable seats, Adjustable steering column/wheel, Front and rear head restraints, Front and rear armrests, Folding rear seats. This stunning is presented in EXCELLENT CONDITION and benefits from a GREAT SERVICE RECORD consisting of 6 service stamps, most recently on 11th December 2018 at 53,765 miles where it has also had a replacement Cam Belt. FREE 12 MONTHS AA BREAKDOWN COVER available as well as a FREE 6 MONTHS WARRANTY and FULL 12 MONTHS MOT to be arranged by us at the point of sale. We currently have very competitive FINANCE and PART EXCHANGE facilities available. All our vehicles are HPI clear with a certificate provided. Appointments available 7 days a week. Please feel free to phone or email with any queries you may have or to arrange a viewing.